So, here is yet another thought on why the US development strategy has largely failed in Afghanistan. There are a lot of reasons that diplomacy has failed here, you can read a little about that here if you’d like but that’s not what this post is about. Disclaimer: While I have many disagreements with the US government and USAID in particular, the school where I work couldn’t exist without it. So, my school I guess could be the evidence which refutes all that I’m about to say. However, the mere fact that where I work is the only internationally accredited school in a country that is seeking to enter the 21st century economy reinforces and actually was the seed of all I’m about to say. I’ve heard some phrases coming from American politicians at the highest levels like “we need a Marshall plan for Afghanistan”, “economic development is key”, “there ought to be more factories, more industry”, etc. etc. Without actually thinking about what the Marshall plan actually was, this sounds like a great idea. For any who don’t know, the Marshall Plan, named for then Secretary of State George Marshall, was the US funded plan for rebuilding the European economy after WWII. The whole basis of this plan was to prevent the expansion of Soviet Communism which was engulfing Eastern Europe, nation by nation, at the end of WWII. This initiative was the first of its kind. It overhauled European infrastructure and gave war-battered nations an economic leg to stand on. Without it, Europe would look very different today. To my European friends, for what it’s worth, I think that every penny of the Marshall Plan was well spent. While it changed many things about the continent, it also allowed Europe to maintain its own culture and ways by insinuating itself into the present culture and curtailing the Soviet threat against Western Europe. As far as I can tell, the US (through USAID) has largely stuck to the model that was given through the Marshall Plan. It was wildly successful in Europe in the late 1940’s to early 50’s. However this model is quite possibly the worst model to try to adapt to the developing world. As stated before, the Marshall Plan left European culture intact. Europeans had a culture that believed in industry, was up to date and understanding of global politics and economics, and wanted to become the titan of industry and progress that it was pre-world wars. In other words, the people were ready. They knew what prosperity looked like, they had the know-how, and more importantly the drive to make it possible. What they lacked was the capital to make it so. This is where the US came in, establishing factories, rebuilding roads and bridges, electrical grids, water systems, etc. The people of Europe knew how to maintain these things, they wanted them, and they wanted to rebuild their nations to match the hope in their hearts of what their countries could once again become. It’s a tragedy of national proportion that aid dollars spent here have benefitted so little. The money spent here is in the high billions, electrical grids have been created, sanitation systems (one can hardly call it sanitary, but whatever), dams built, mobile phone networks, etc. But these are controlled by a very small percentage of the Afghan population and/or foreign investors. For example, the 1st or 2nd largest telecom network in Afghanistan is Etisalat, a telecom giant from the UAE. Roshan and Afghan Wireless (AWCC) are just now beginning to catch up. Most Afghans, due to their level of education, are qualified to do little more than unskilled labor. Not trying to demean them or speak poorly of Afghans, they are some of the hardest working, kindest, most resilient people I have ever had the privilege of living among. The point is, this country is not ready for an “Afghan Marshall Plan.” The culture cannot maintain it, the education system cannot sustain it, the people cannot handle it… yet. 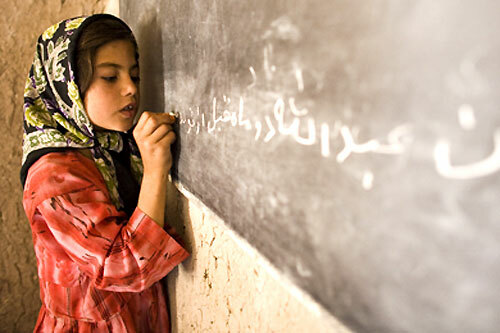 Education must be the main focus now, more than ever, if Afghanistan is to succeed. I’m not just talking about kids going to college, I’m talking about teaching old men and women how to read and write in Dari, seeking out some type of universal primary education for Afghan children, and if possible, getting some more internationally accredited schools so that the kids who have the smarts can go onto university, this would also create a demand for more Afghan centers for higher education. There are currently no institutions of higher education in Afghanistan that have an internationally recognized Baccalaureate program. There are one or two that are getting close, but none that currently have it. Who is going to be running these great infrastructure programs when all the expats head out? Who is going to be able to help military operations when the current old mujaheddin warlords retire to their fat houses in Dubai (*cough *cough, Karzai, *cough *cough)? You know why there is such a large desertion rate from the Afghan National Security Force (ANSF)? Because most of the soldiers can’t read their orders and have to trust what their corrupt commanders tell them. ISAF is finally trying to educate the soldiers in the ANSF, at least to basic levels of literacy, but why on earth did it take a decade plus to figure that out? Because NATO paid almost no attention to the culture it was invading. They alienated the Pashtuns, Afghanistan’s racial majority, most of whom are not Taliban. It’s important that there is racial equality, incredibly important, but you can’t have racial equality without convincing the racial majority that this is a good thing (Civil Rights movement anyone?). Why on earth did no one think of this? Or if they did, why didn’t anyone listen to them? NATO has been in this country for a decade, and very little has been done to bring Afghanistan into the global cultural fold. This could have/can still be done without destroying Afghan culture. Good education can keep culture intact while ushering in new ideas, especially where human rights are concerned. This country will never stand on its own without a strong basis of education. I intend to stay as long as I can and help this process along. But it will take a shift in Western development strategy to make this happen. It will also take a large investment from the private sector. Privately funded schools in the US are the best schools the country has to offer, there may be a few exceptions to this, but it’s pretty dang close to true. The private sector, not the government, has to begin to step up and lead the way in educational development over here and in the developing world as a whole. This region really could be a great investment, but it will take a bit of altruism to kick-start it. I’m done now. Take this for what it’s worth.